Alcoy, the town of the bridges. – Charming villages! The Region of Valencia is more than just sun and beach. Rural tourism has increased over the last years, particularly among domestic visitors. My intention is to let you known about amazing inland villages that are alternative to mass tourism. Alcoy, the town of the bridges. Alcoy is a inland town which is located in the province of Alicante and it is known as “The Town of the Bridges” because there are more than 20 bridges due to it is surrounded by ravines. 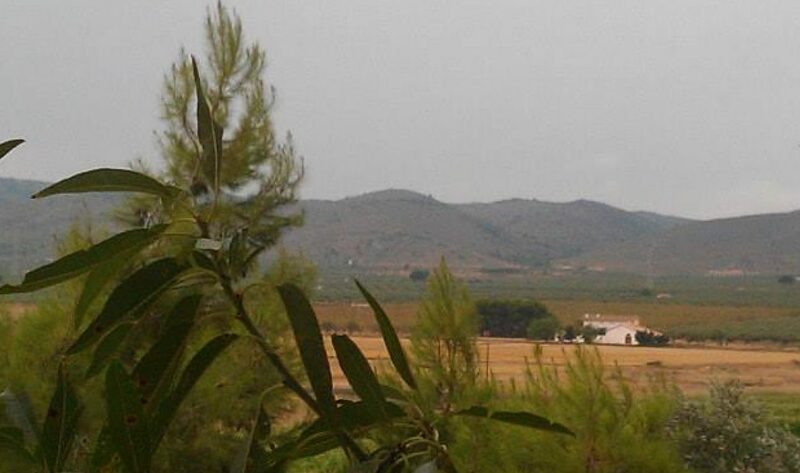 The village is cut across by three rivers: Riquer, Benisaidó and Molinar. It is one of the most important towns in the Region of Valencia. It takes you to get 50 minutes from the capital by car. Historically, Alcoy has been considered a relevant village during The Industrial Revolution. It was especialized in the textile industry, metallurgy and paper industry, so it developed and it became very rich. Many Modernist buildings were made because of an architectural style that was in vogue in Europe at that time. You could follow the Modernist route to discover incredible buildings such as the ancient fire station, Círculo Industrial, Casa del Pavo or Carsa La Porta. Also, you can walk through old factories from 18th to 20th century that some of them have been restored, and nowadays they are used for another activity, for exemple the Ancient Factory of Ferrándiz and Carbonell, this building is currently the Polytechnic University headquarter. Other interesting buildings are the Old Bank of Spain, Industrial School, Papeleras Reunidas and Monte de Piedad. In addition, you can come across with more plants in the river bed or in the Molinar Industrial Complex, but they aren´t well-preserved. It may seem a bit strange, but the cementery of Alcoy is famous for beautiful sculptures which were commanded to make by the high society. It is included in the European Cementeries Route since 2012. Also, you can find several museum such as Casal de Nadal (Christmas Museum), Explora e Isurus (to have a global image of the city), Museo de las Fiestas de Moros y Cristianos ( Moors and Christians Museum), MUBOMA (firefigther´s museum), Archeological Museum, Science Museum and Cervantes Refuge (it is a refige of the Spanish Civil War). Alcoy is surroundied by spectacular landscape. You can enjoy hiking, biking and horse riding through Font Roja Natural Park or Serra de Mariola Natural Park. Other sport that you could practise is bunguee jumping inside the city. Also you could visit La Sarga Caves Paintings that were declared Worl Hertiage in 1998. Moors and Christians Festival: it was declared International Tourist Interest in 1980. In addition, it is considered to be the first inspiration for the rest of celebrations in the Region of Valencia. The Three Wise Men Cavalcade: it is one of the oldest calvacades in Spain and it was declared Intangible Asset of Cultural Interest. The Tirisiti is a popular theatre of puppets. Its argument mixes Christmas story with local traditions of the past. Also, it was declared Intangible Asset of Cultural Interest. On the whole, the temperature is pleasant in Alcoy throught out the year, but in the summer I suggest you to walk when the sun goes down because some days are very hot. Do you feel discovering this wonderful town? Previous Bocairent, the living rock. Next Onil and Castalla, toys and castle.